So you have a brilliant manuscript and you want to get published. Now what? If you want to be published the “traditional” way, savvy TWL readers probably know the next step is finding an agent, but things can get a little murky after that. What happens once your agent signs on? What do editors do with your manuscript? 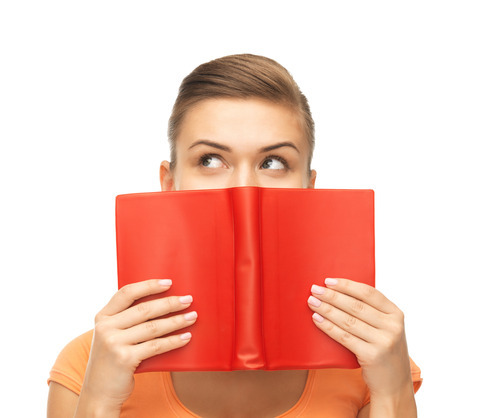 Once you have a book deal, what can you expect going forward? The publishing process can be mystifying, and sometimes writers are left feeling like they’re on the outside looking in. Creating a book ought to come with a handy user guide, but it doesn’t. And busy agents and editors don’t always remember to inform writers of the steps a project takes on the path from manuscript to finished book, and who the major players are along the way. A writer shouldn’t feel in the dark about what’s happening with her book — heck, you wrote the darn thing! Next time you’re feeling unsure about what’s going on, take a peek at this simple flow-chart and these five tips to understanding what’s going on behind the scenes. How long will it take your agent to submit the project to editors? Once you sign with an agent, he will then work with you to ready the project for submission to editors. This could mean minor edits or something more involved. Before you agree to work together, ask the agent for an estimate of how much time and work it will take before the project is ready to go. Tip #1: Don’t hold your agent to exact dates; things come up. For example, an agent might plan to submit your project on a Monday, but if she suddenly has a lot of editor interest in another project, she may have to shift gears to sell the other book first. Be patient, but if weeks go by with no news, check in. How long does it take for an editor to make an offer? Depends on the editor, depends on the publisher. If an editor is really enthusiastic about your book, it could take just a couple of days (or even less!). Generally, however, editors need to present the book at their weekly editorial meeting and get their team onboard before they can make an offer. This can take time, sometimes a week or more. Editors may reach out to let the agent know they love a project and are “getting reads,” or sharing your project with a few trusted readers at their imprint. Then, when they bring the project up at their meeting, you’ll have a wider base of support in-house. This is a sure sign of interest, but no guarantee an offer is forthcoming. Tip #2: Understand the potential hurdles of the ed board meeting. Editors have to present a strong case for your book at ed board meetings, going beyond loving a voice, style or concept. They need to present “comps,” or competitive and comparative titles that have strong sales figures — indicating that your book will too. They may also need to win over the Sales & Marketing Team, convincing them that there’s a strong audience and potential for stores to place large orders of the book. Try to anticipate and address these needs in advance through your proposal or your agent’s submission letter. When is it safe to get excited? Probably not until that offer is on the table. I recommend my clients be “cautiously optimistic” until then. I’ve got a book deal! When can I expect to get paid? Once your agent and editor agree upon the “deal points,” or the major terms of your deal (these include advance, payout, territory, royalty rates, subrights), the agent waits for the publisher to generate the contract. Depending on the publisher, this can take a few weeks or even a few months. On average, I see a contract come in three weeks to one month after I strike a deal. Tip #3: Plan for an additional two months of negotiations after your agent receives the contract. You won’t get paid the first installment of your advance until the contract is fully executed, a back-and-forth process between your agency and the publisher to iron out specific language. This process can experience delays. Contract managers juggle several contracts at once, and it might take time for them to respond to the other party. I would expect an additional two months. Anything faster than this is gravy! Who is my point person at the publishing house? The editor not only works with you on revisions of your manuscript, he or she oversees the entire process of book production in house. This includes coordinating with different members of your publishing team, including the cover designer, publicist, marketing manager and sales team. Depending on how that publisher works, you may be encouraged to communicate directly with different members of your team, or you may find you only communicate with your editor, who passes your input along to the others. Tip #4: Don’t be afraid to ask your editor what to expect once you’ve reached the final manuscript stage. Your editor should be able to give you an overview of the steps your manuscript takes once it goes into production. Ask your editor how many opportunities you’ll have to read the manuscript after it goes through copyediting and page layout. Also ask when you might expect to see a cover design, or hear from your publicist to coordinate a publicity plan. Your agent can assist with this, but it’s best to hear it directly from the editor. The manuscript is done! Now what do I do? Most authors experience a lull just after turning in their final manuscript. This is a great achievement, so enjoy a few days of relaxation, then turn your sights to the next steps: marketing and publicity. Authors can expect to have direct contact with their publicist, usually starting about six months out from pub date, but they might not have much communication with marketing. Unless you happen to be BFF with the Target Book Club Buyer or the CEO of Anthropologie, there’s usually not too much an author can do on her own to assist with marketing. However, there are two important things you can plan in advance that may directly affect book buy-ins. Tip #5: Use your downtime to cultivate a strong presence online and seek support from other authors. When I Google your name, I’d like to see a professional-looking website, either focused around you as an author or around your book, and an active presence on social media sites such as Twitter, Facebook or Instagram. Note: Don’t feel you have to do everything. Go for depth, not breadth. An earlier post on The Write Life explained what agents want to see when they Google your name. Well, book buyers are looking for the same thing — a robust presence! This doesn’t happen overnight, but requires consistent attention over a long period of time. The best way to build Twitter followers is to be active on Twitter. A lone tweet here and there won’t do much good — in fact it might actually hurt to have an account with just a few followers; you’re better off not having an account at all. Consistent attention, including reaching out to other authors and “taste-makers” can help build buzz and a network that may be willing to help you promote your book when it comes out. Speaking of building your network, now is a great time to plan ahead for who you’d like to approach for endorsements once bound galleys are ready. Try to determine the best way to reach them. Also, consider which authors writing in your genre have popular blogs. Perhaps there’s opportunity to collaborate on a blog tour down the road. Hopefully these tips have provided some insights as to what you can expect from the publishing process. Keep in mind that each publishing house works a little bit differently. For example, some editors might not need the approval of an editorial board to acquire a project, and certain houses don’t hold editorial meetings every week. Remember to enlist the help of your agent if you have questions – their experience should help guide the way. Have you navigated the traditional publishing process? Share your experience in the comments! Elizabeth Evans is a literary agent at the Jean V. Naggar Literary Agency, where she represents a wide range of narrative and prescriptive non-fiction projects. She is actively seeking new clients writing in the following genres: memoir, travel/adventure, journalism, current events, popular science, psychology, health and wellness, self help, humor, and illustrated works. I think you can already see a shift occurring in how people are approaching the publishing phase. In your model, the traditional model, it seems like there’s a lot of waiting around. I guess you can use that time to write another book, but then you’re in that holding pattern again. So what, you get maybe 2 books out a year if you’re lucky? Then you’ve got self-publishers putting out a book every 3 months now, 6 at the most and many of them at lot more often than that. And it seems readers want more and sooner. So which model is more sustainable, and for whom? I guess after reading your article I’m glad it’s just me and some outsourcing by email and not an agent/publisher combo. Nice article. What are the odds (ballpark, of course) of getting an offer if an editor is on-board and presenting it to the Editorial Board? That said, I’ll get in touch with her and see whether she can share any more detailed advice! Hi Tim, I just received a note that Elizabeth is on leave and isn’t able to answer your question now. I’ll post a response as soon as I hear from her! “No one can predict the outcome of an ed board meeting, but one sign the scales might be tipped in your favor is if an editor tells your agent ahead of time that they have already gotten several enthusiastic reads from other editors. The broader the base of support you have going in, the better. Nice article. I have to ask, I am a Nigerian and I have a book presently in the works and I intend to purse its publication dealings in the US. What are my chances of making a success out of it? Would I get a segregation treatment or a poor response due to my country or proximity? I don’t think it will matter that you’re based in Nigeria. If you have a great story that an agent loves, then he/she will respond accordingly. We need more multi-cultural books- so go for it! I Am about to start querying a new me. I have five self published books that have good reviews (nothing below four stars) but terrible ratings (aka they don’t sell well). But. I am an invited storyteller and author art several events. I thought mentioning that last part would do well, but mentioning my previous works might not. My webpage mentions both with pictures of me reading at a library, etc. What are your thoughts? The query genre is similar to the already published ones. I apologize for the typos. I’m on my phone at work. An author can improve her chances with a clean manuscript at every stage of the publishing process. So who’s going to read your early drafts and help with your final polish? Family and friends of course, but you might also want to consider beta readers–literary angels unprejudiced by their personal knowledge of you. Beta readers can be found on numerous online sites including http://www.betareader.us, LinkedIn, Goodreads, and Facebook groups.